Only the fiercest may wield the sword of Athena. Whether or not you think of yourself as the fiercest, if you believe in yourself, the sword will work for you. Its craftsmanship is detailed enough that it's easy to believe that it could take on the god of war, Ares. The hilt is twisted for an easy grip with bronze dragons grasping the carved blade. A button that produces six different battle sound effects is centered on the hilt, perfect for practicing your swing with a little more Va Va Voom. 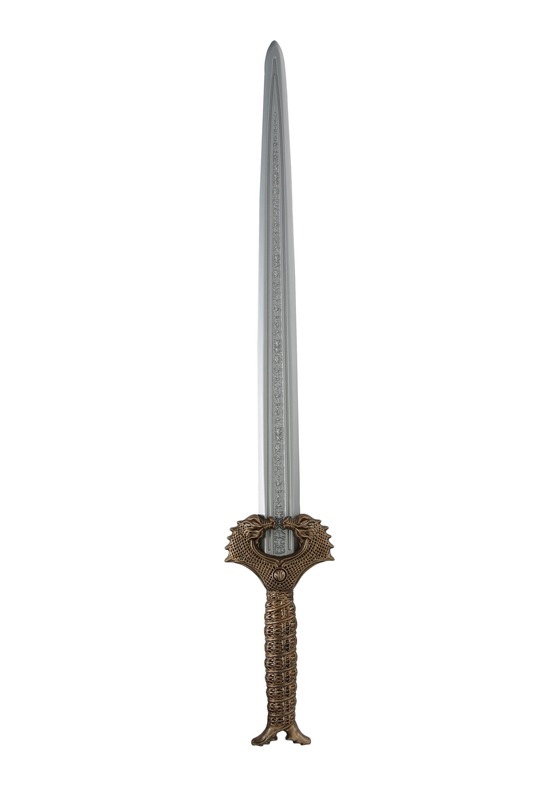 Whether you're dressing up as the fierce Diana for Halloween or your daughter wants to grow up to become Wonder Woman, this sword will make any Amazonian look complete. You might wonder if you can take on the intimidating Ares. Well, if you don't try then how will you know? It's your sacred duty to defend the world, so what are you going to do?